As Raleigh’s first “pay what you can” café, A Place at the Table aims to provide community and healthy food for all, regardless of means. 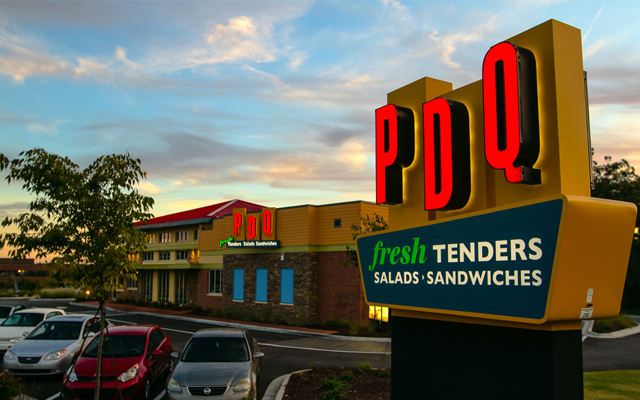 Customers have the option to pay what they can afford for their meal (each item comes with a suggested price), cover someone else’s meal (“paying it forward”), or volunteer at the café as a form of payment. 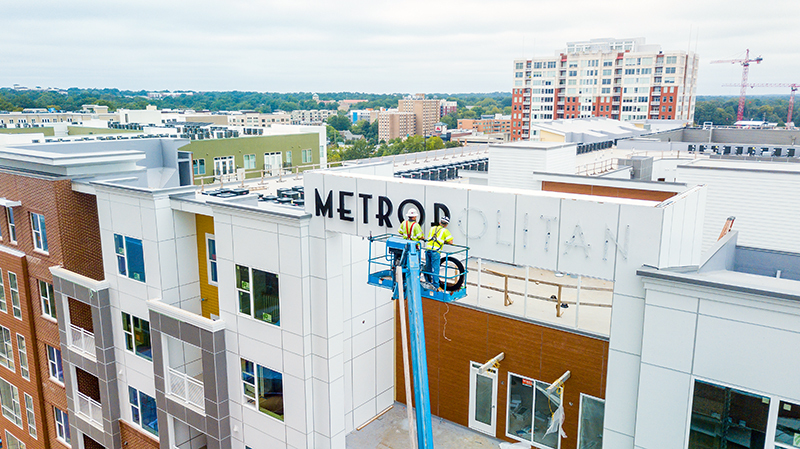 Our team fell in love with the concept when we heard about it, and was excited to donate signage to the café’s new location in downtown Raleigh. 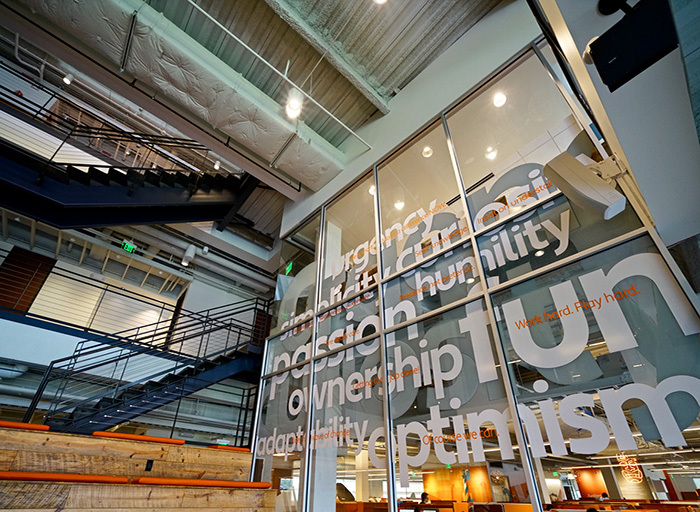 The sign package we created is a complement to the sense of community and warm, inviting atmosphere within the space. As you approach the café, you are greeted with a cut vinyl logo in the front window with the message, “All Are Welcome.” We also added a logo to the front counter, where friendly volunteers wait to take your order. 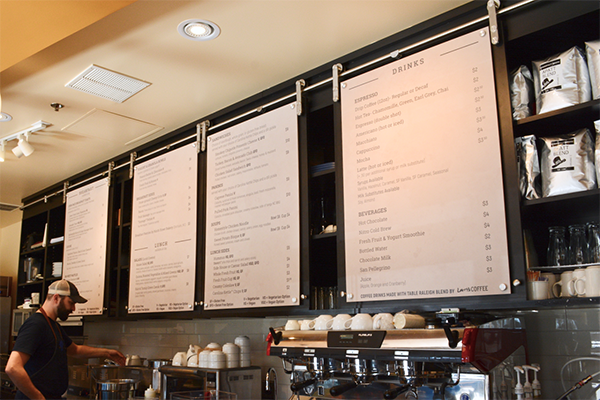 Behind the counter, we installed four acrylic menu boards that advertise the assortment of tasty breakfast and lunch items available through the “pay what you can” system. The café offers vegetarian, vegan, and gluten-free menu options. 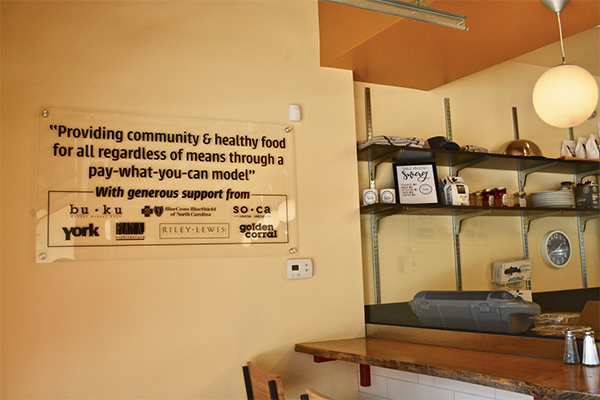 Two acrylic panels were added to the walls, displaying the café’s list of community partners. Each sign was designed with foam board and vinyl, respectively, to offer an easy and low-cost solution for whenever the donor list needs updating. 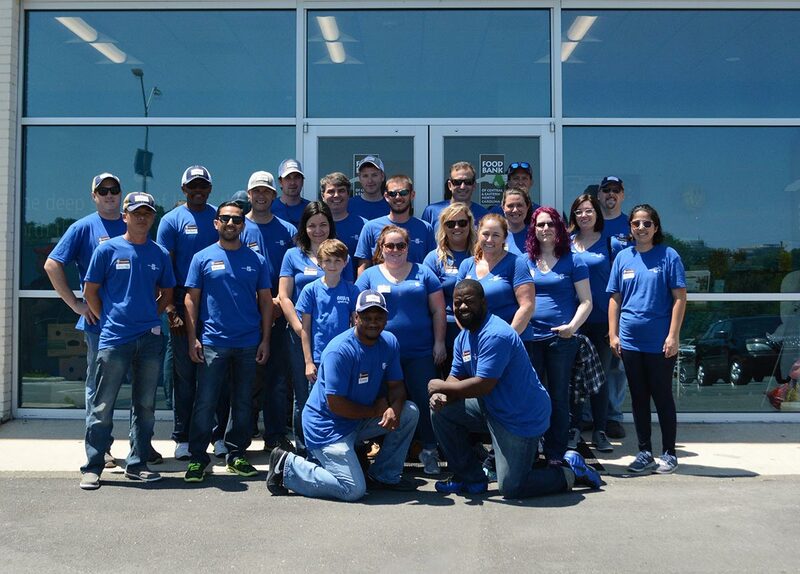 This was truly a special project for us, and we’re thrilled to have this opportunity to support a great cause. 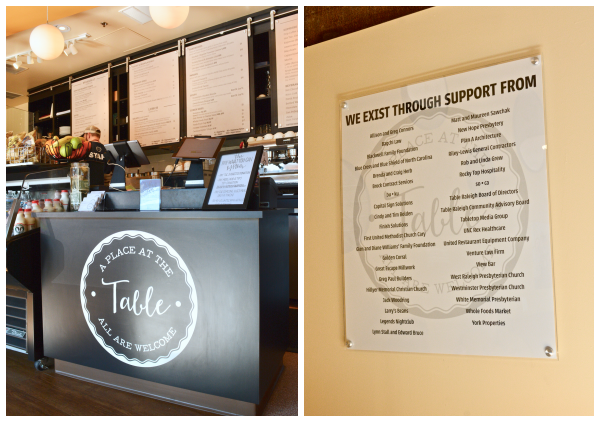 Learn more about A Place at the Table and visit them at 300 W. Hargett Street in downtown Raleigh. 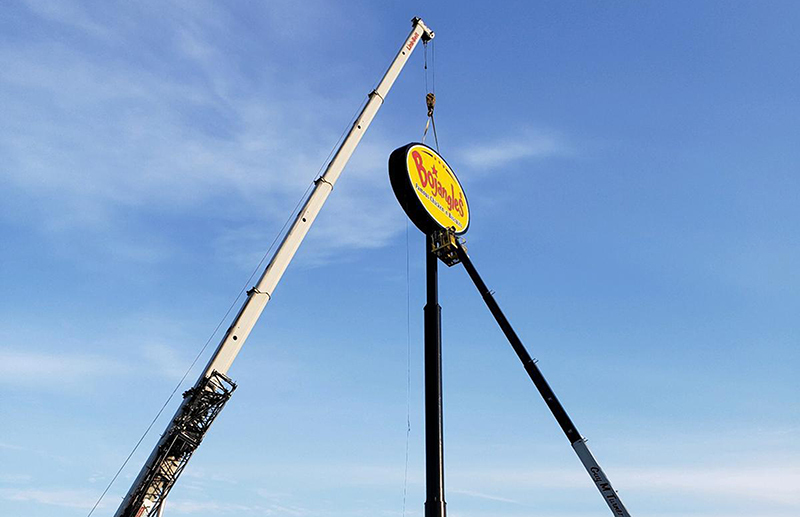 Bojangles’ Reaches New Heights in Goldsboro, N.C.